The U.S. retail giant GameStop gobbled up one of the biggest digital distributors of PC games on the internet in Impulse. There are only a few websites out there that garner enough digital sales of games to be relevant to the conversation. Without the each company's sales numbers available to rank them, only anecdotal evidence can say how well they do but Valve's Steam is likely #1, with Direct2Drive, GamersGate, Impulse, and Good Old Games making the shortlist. With online sales skyrocketing and the shelf space for PC games at retailers shrinking, GameStop has decided to invest heavily in what it sees is the future. 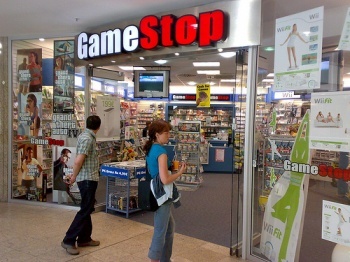 By acquiring Impulse from strategy developer Stardock, in addition to digital-streaming company Spawn Labs, GameStop is poised to go beyond just brick-and-mortar storefronts. "Our customers are gaming in many locations and on many devices, and we need to deliver the same great immersive experience that they have come to expect," said GameStop President Tony Bartel. "With these important acquisitions, we will continue to make appropriate investments related to our multichannel strategy. GameStop is uniquely positioned to be the leader in both the physical and digital gaming space," another GameStop executive said. The integration between Impulse and GameStop will occur over the next few months. What I'm interested in finding out is how current customers of Impulse will be affected. Will games they have purchased there still be downloadable once the merger is complete? The implications of this acquisition may go beyond just PC games. While I think it's great to be able download most games to play on my computer - I can't remember the last time I bought a retail PC game box - I wonder if GameStop is positioning itself for the next generation of consoles. Will we be able to purchase console games through GameStop's marketplace on our shiny new Xbox 1492s?